Marseille is one of France's oldest cities. Legend has it that in 600 BC, a Greek sailor was exploring the area. A chieftain of the Ligurian people who lived in the area encountered him and invited him home. A feast was being held for suitors seeking the hand of the chief's daughter and at the end of the feast, the daughter selected the Greek. Her father gave the Greek the land where Marseille is now as a wedding present. In any event, Greeks from Asia Minor founded a trading port here in ancient times. The settlement, known as Massalia, flourished through Roman times and the Middle Ages. The city did not become part of France until 1481. Before that it was a dominion of the counts of Provence and a republic. Marseille has always been connected with the sea and today it is France's largest port. As ships have gotten bigger and bigger, Marseille's port facilities have expanded; first, from the Old Port to the La Joliette port in the 19th century and now so that there are modern port facilities extending miles up the coast. As a port, the city has been a gateway for immigration. It has the largest Italian population in France as well as a large population whose ancestors came from France's former colonies in Africa and Asia. Perhaps because of this, the city takes pride in being somewhat different than the rest of France. 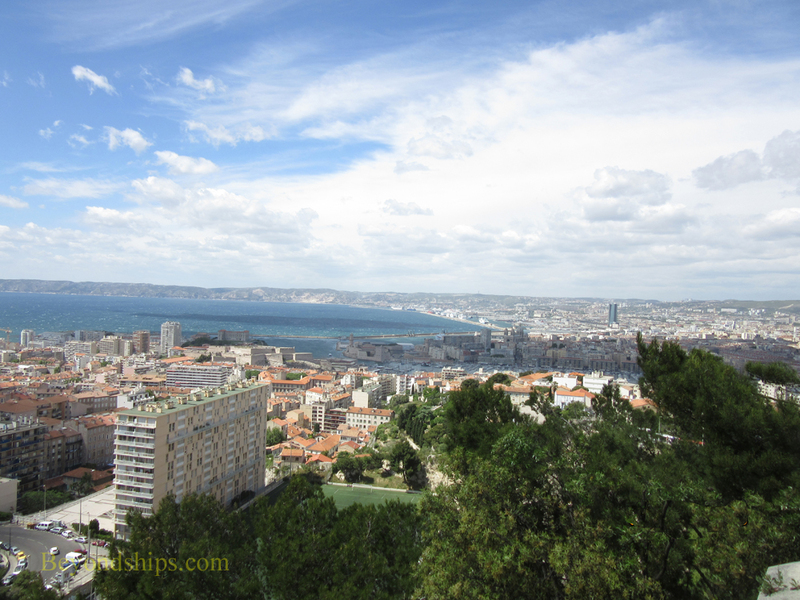 Even though over four million people visit Marseille each year, the city is not primarily a tourist destination. It definitely has tourist attractions, hotels, restaurants and a tourist infrastructure but that is not the main focus of the economy. Import/export, manufacturing and technology play significant roles. 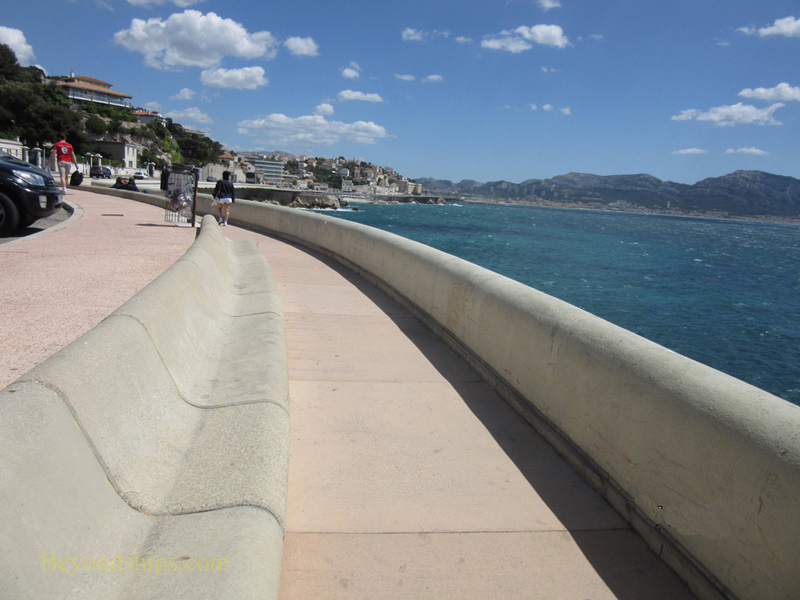 With a mild Mediterranean climate, Marseille is the sunniest city in France. This is in part due to the Mistral winds most prevalent in the winter and spring which generally bring clear skies. Just offshore are four islands making up the Frioul archipelago. 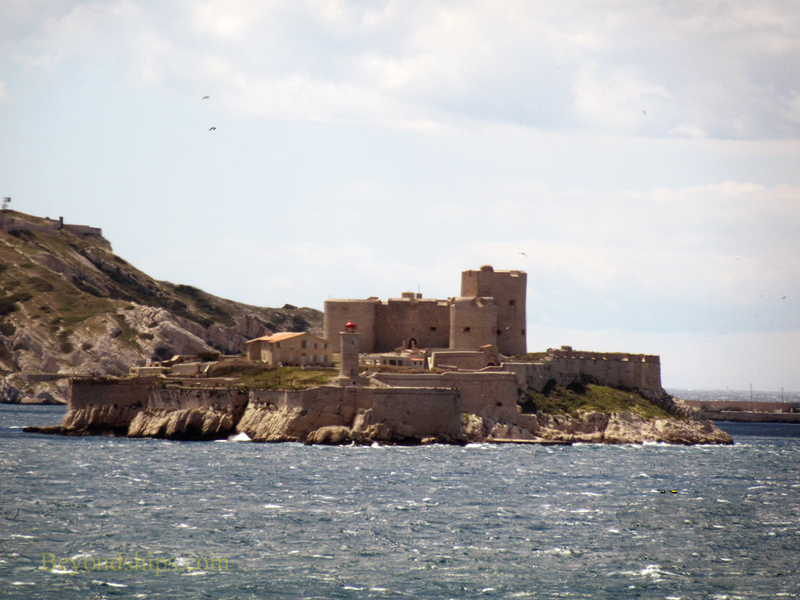 The most famous of these islands is the site of the Chateau d'If. Constructed as a fort by King Francis I in 1524, it later became a notorious prison. Alexander Dumas used the prison as a setting in his novel The Count of Monte Cristo. Marseille has several important religious sites. 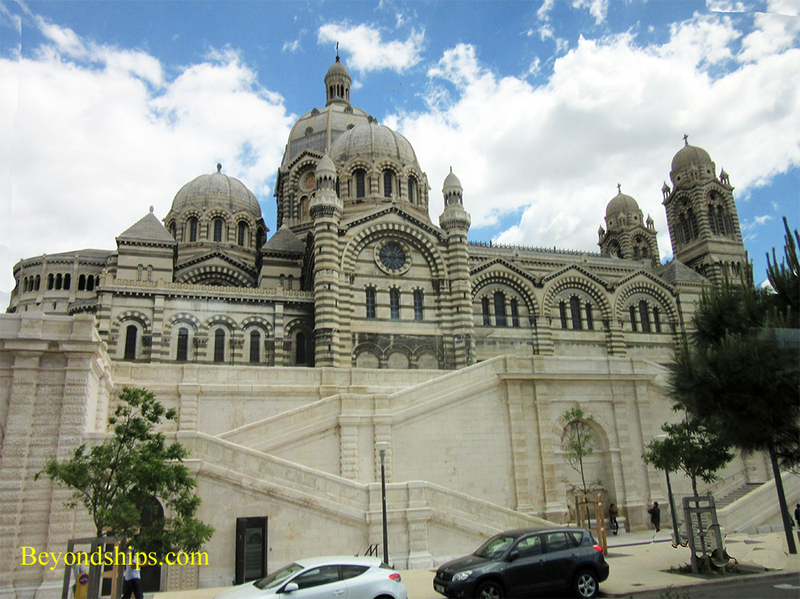 Sainte Maries Majeure (La Major) is Marseille's Roman Catholic cathedral. One of several major buildings constructed in Marseille during Louis Napoleon's Second Empire, it is in the Byzantine style. La Major is located near the La Joliette commercial port (Les Docks). The Corniche du President John Fitzgerald Kennedy is a boulevard and promenade running along the seaside southwest of the city center. From it, there are views of the offshore islands, 19th century villas, and of Marseille's beaches, the most popular of which are the Prado beaches (Plages du Prado).